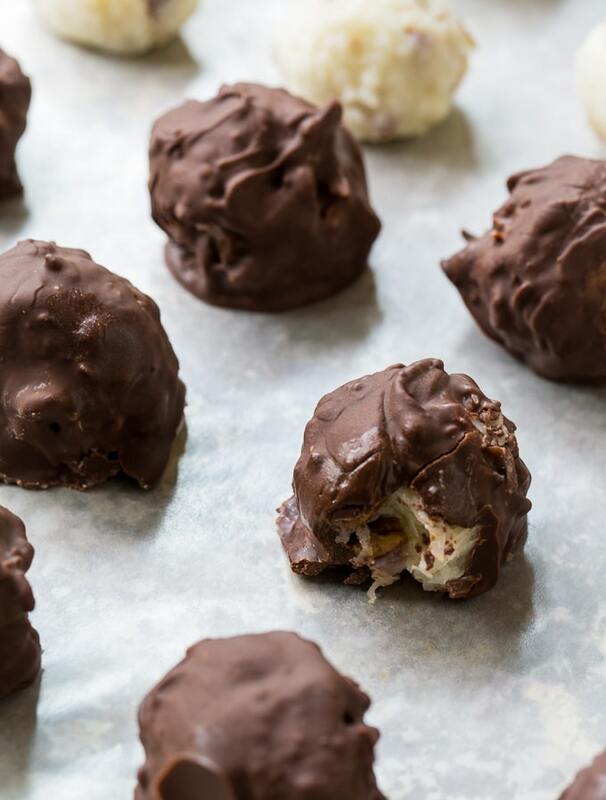 Martha Washington Candy has a pecan and coconut center covered in chocolate. This old-fashioned favorite is perfect for holiday gift giving. Along with Buckeye Balls, these candies are what I look most forward to making each holiday season and they get gobbled up quickly. I don’t know the exact history behind Martha Washington Candy. There was a chain of Martha Washington candy stores started back in the 1890s and I think they are connected. Anyone have any knowledge? Martha Washington Candy has been a popular addition to southern candy and cookie trays for generations. 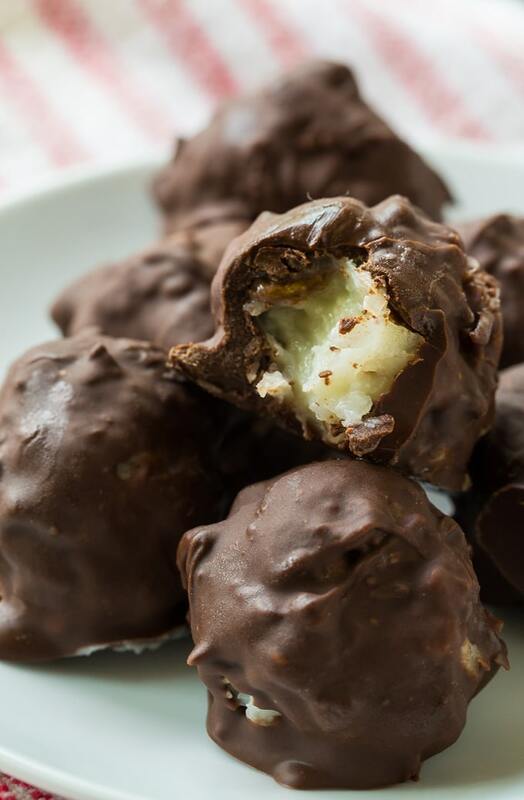 Also called “Coconut Bonbons”, these homemade candies are divine. 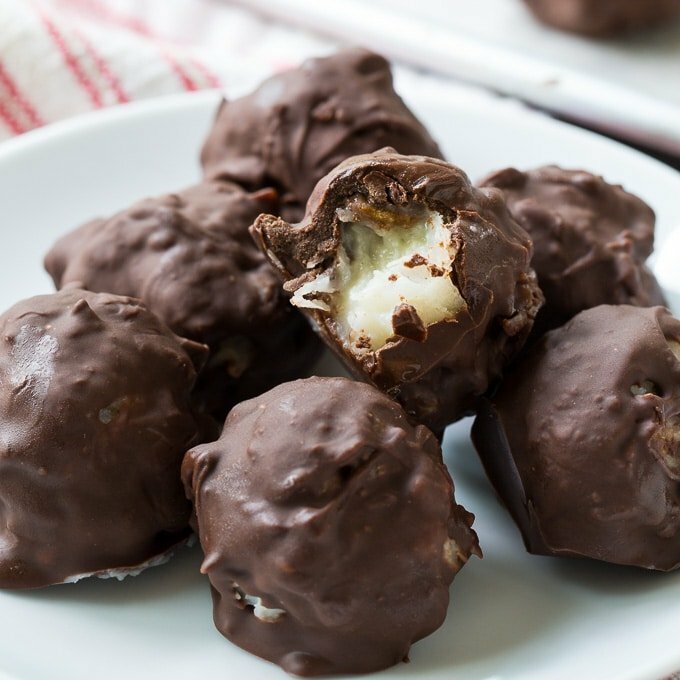 The center is so rich, buttery, and full of coconut flavor with crunchy pieces of pecan. If you are a fan of coconut, you will love these little bites of heaven! In a large bowl, mix together the sweetened condensed milk, melted butter, coconut, powdered sugar, and pecans. Cover and refrigerate overnight. Shape into 1-inch balls and place an a baking sheet lined with wax paper. Cover with plastic wrap and refrigerate for 1 hour. Place the chocolate and shortening in a heavy-bottomed saucepan. Heat over low heat, stirring frequently until smooth. Take about 10 balls out of the refrigerator at a time. One at a time dip them into the chocolate, lifting them out with a fork so the excess chocolate can drip down. Place them on wax paper. This entry was posted in Candy and tagged coconut, pecans. Bookmark the permalink. Is the shortening in lieu of the paraffin? To make it shiny? I don’t see paraffin wax listed in your ingredients. How much is needed?? I have dipping chocolate for my Dipping pot will that work? My late Mother-n-law made these plus other candies similar and send us a box of goodies every Holiday. Thank you for sharing your recipe. We STILL use paraffin wax here when making candy, especially peanut butter & coconut balls! 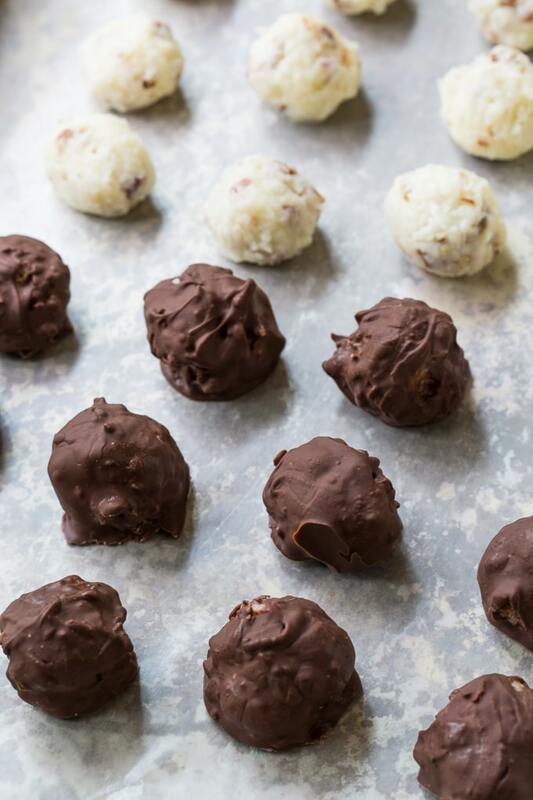 I wonder how coconut oil would work on these “coconut balls”? wax will make them shiny and beautiful ! I make hundreds of candies at different holidays. Could not do it without the use of paraffin wax. My sister makes these every year. Her recipe was so old that there was wax in the chocolate coating. When we coat the candy we simply melt the chocolate. Or make a ganache (recipes all over the internet). I feel like the added corn syrup would definitely give you a sugar attack. My mom’s recipe that I’ve made for years had paraffin wax in the chocolate too! Can you use Karo syrup instead of solid vegetable shortening? Karo syrup is a sweetener and solid vegetable shortening is a fat so they don’t equate. You can use vegetable oil instead of shortening or softened butter or coconut oil.